Aurora Cannabis (TSX: ACB) the world's second largest marijuana company and the company that is now in talks with Coca-Cola (KO), currently owns 6% of Micron Waste (CSE: MWM). ACB has a market cap of $11.7 BILLION and just announced this evening that it will soon be listing on a major U.S. exchange. ACB owns seven major cannabis production facilities across Canada and its 4Q 2018 revenues increased by a stunning 223% on a year-over-year basis! As soon as ACB lists on either the NYSE or NASDAQ it will likely become the #1 most talked about stock in the entire market just like what occurred with Canopy Growth and Tilray. As investors research ACB and learn that this $11.7 BILLION cannabis company has invested big into MWM and is closely collaborating with the company, MWM could become the largest gaining cannabis stock for the entire year of 2018! ACB began collaborating with MWM back in December 2017, as part of ACB's effort to develop new innovative technologies aimed at achieving improved operational economics, as well as a superior, ‘greener’ approach to organic waste management. In January of this year, ACB was the lead investor in MWM's $2.3 million private placement at $0.34 per share, investing $1.5 million into MWM to acquire a 6% stake in the company. MWM is the developer of patent-pending aerobic digester technology for the treatment of organic waste. By collaborating with ACB to optimize its technology for the treatment of organic waste generated in the cultivation and production of cannabis products, MWM has developed Cannavore - the world's first cannabis waste digester. In June of this year, MWM delivered its first Cannavore system to ACB's 55,200 square foot, state-of-the-art production facility in Mountain View County, Alberta, known as Aurora Mountain. On Monday it was announced that MWM successfully completed its Cannavore Aurora Mountain trial, with ACB determining that the water reclaimed from cannabis waste was API- and contaminant-free, allowing for re-use in growing operations or safe discharge. MWM's on-site treatment of cannabis waste at Aurora Mountain removed the need for ACB to landfill, haul or incinerate waste. All of the treated cannabis waste was found to have exceeded Health Canada requirements, while MWM's proprietary software further optimized the compliance process through comprehensive data collection and recordkeeping. ACB found that because Cannavore is fully automated, it significantly reduced its time requirements for waste handling. ACB is eager to begin using Cannavore at its six other facilities. MWM has already commenced site visits for Aurora Vie in Montreal and Aurora Sky in Edmonton. 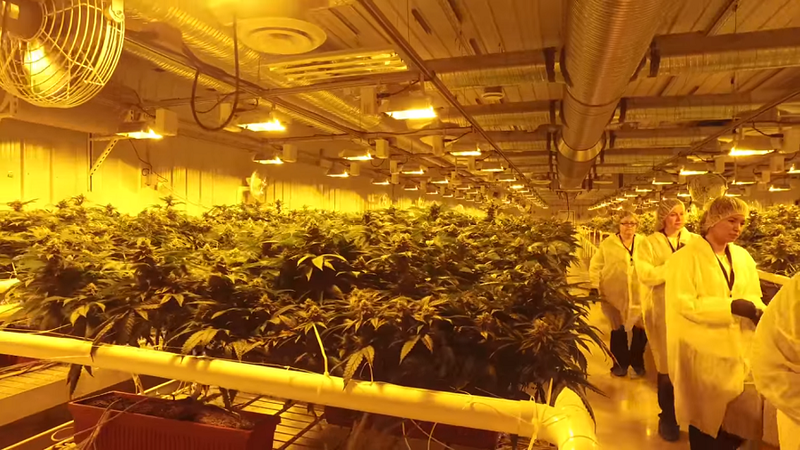 With the recreational use of marijuana in Canada set to be officially legalized on October 17th, billions of dollars are being invested into building new cannabis cultivation facilities. MWM is rapidly preparing for commercial production of Cannavore units to be sold to cannabis cultivators across Canada. All licensed cannabis cultivators in Canada will be required to adhere to strict regulations regarding the disposal of waste generated from the cultivation process. Up until now, most cultivators have attempted to use composting as a method to handle the plant waste. Unfortunately for cannabis cultivators, but HUGE for MWM, the composting process can take months and requires a substantial amount of space. This space would be better utilized by using it to grow additional cannabis plants! MWM appears to have developed what will rapidly become the industry standard for cannabis waste disposal! MWM is well funded with $6.65 million in cash and no debt!